I have a serious thing for shirtdresses. They're simple, comfortable, elegant, and timeless. You can style them a million ways. But this shirtdress may just take my obsession to a new level. The neutral beige + mint colorblocking, the tailored cut, the silky drape of the fabric... Sigh. And paired with these insanely gorgeous booties, this look is perfection to me. My birthday may be ten months away (exactly today), but if any friends or family reading this felt inclined to get me a very early present in the form of this outfit, I wouldn't argue. FYI. Considering the fact that this recipe is now three years old and I just came across it this week, I guess I'm a little behind. But I don't care. Anything that involves my all-time favorite cocktail and blood oranges is timeless in my book. Also, I am impatient and this recipe takes two minutes. It's perfect in every way. If I can find some blood oranges, margarita party at my house this weekend. I'll admit that I'm not the most adventurous when it comes to hair color. My sister has had every length, style and color of hair known to man over the years, but I stick with the same: long and brown. 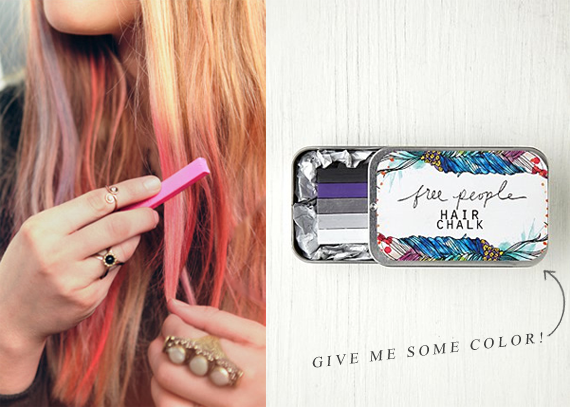 It would be fun to be able to add some occasional streaks of color when spring and summer roll around though, and I think Free People's hair chalk is the perfect solution for me. It looks easy as pie to apply (that rhymes! ), and it's vibrant, but washes out. I'm sold. As soon as I saw the title of this book, I knew I wanted it. 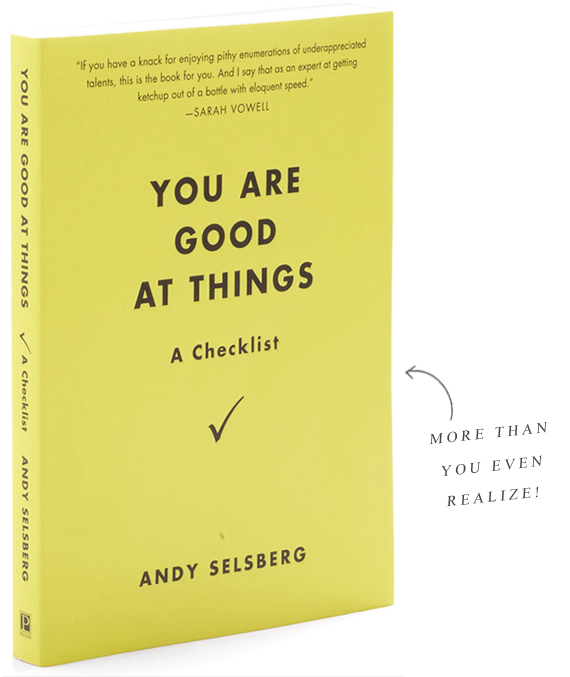 I mean any book called You Are Good At Things has to be encouraging, right? But as I read more about it, I realized just how rad it really is. Note description: "This comical checklist invites you to celebrate all of the skills that you've been overlooking. Can you intuit the subtle rules of sandal season or lace your sneakers in awesome 80s style? It’s time to live it up! Are you a master of moseying? Then make the most of it! Do you write perfectly level on unlined paper? Find a pen already!" Yes, please! I'm picking up a few copies this weekend, because clearly its awesomeness needs to be shared with friends. I like stripes you guys. A lot. I think stripes add the perfect something to home decor (and clothing too). I actually already have two striped rugs in my house, but they are black and white. 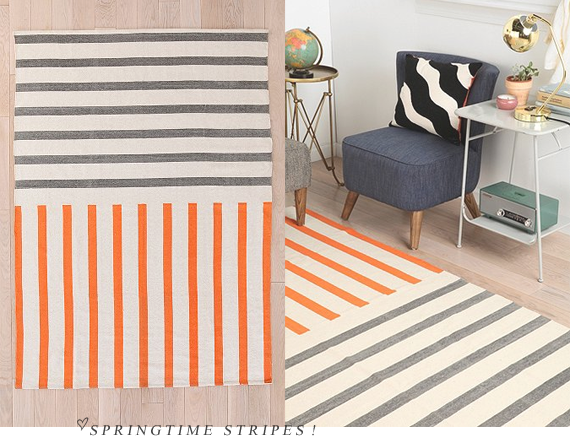 And I'm thinking that my very neutral design scheme could benefit from a little springtime color, like the lively (yes, lively) orange in this awesome mixed stripe rug. I love how the stripes are divided not just by color, but by direction as well. It's the little things. I wasn't going to say that I'd fallen in LOVE (get it? get it?) with this gorgeous little clutch/wallet/keeper-of-all things, but fact of the matter is that I have, cheesy pun and all. Aptly named the Hunter Zip Multifunction , it has all sorts of compartments to stow daily necessities. Even more than the multifunction aspect, I'm digging the color. It reminds me of everything spring - robins' eggs, bright skies, clear streams. And you just can't go wrong with looking at the word "love" everyday, right? Seriously though, how awesome is this?! 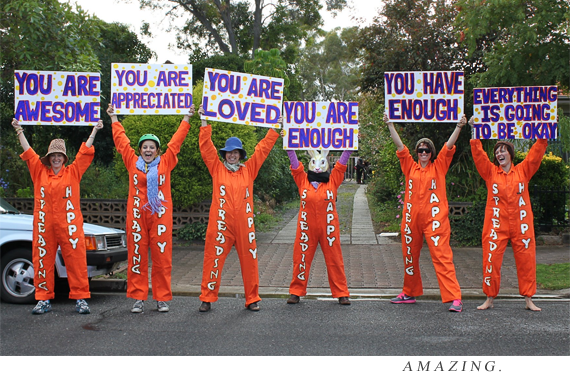 This Australia-based group, called Spreading Happy, dedicates their time and energy to "creating and spreading positive vibes everywhere they go." I printed out this image and pinned it up at my desk. Amazing. Time for another edition of Friday is for Favorites! For new readers, 'Friday is for Favorites' is my (once upon a time weekly; now more accurately monthly) series where I become a rebel, and break all of my own rules of design cohesiveness to which I normally adhere on the Bubby and Bean blog. No themes, curated collections, or matching aesthetics here. Just a gathering of a few random things that I happen to be loving most this particular week, now shared with you. I should mention that despite the lack of any intended continuity between my picks in this post, I noticed after compiling this week's favorites that the majority of them have some sort of springtime inspiration behind them (at least in my specific reasoning for loving each of them). I've had spring fever for a while now, but I'm guessing that because today is March 1st (woooot!) and the official first day of the official first month of spring, it's now in full effect. Hello March! So glad you're finally here. What are your plans this weekend? This is officially the second full weekend that my husband will be home in 2013 (the first being January 5th!) - and after he goes back on tour in a few days, he won't be home again for another weekend until April. So this weekend is basically the best thing ever in my mind. It's going to be so awesome to wake up tomorrow morning and know I get a real weekend with my best buddy! And even more awesome is the fact that my sister is coming up from Indianapolis to visit my grandmother and have some family hang time. It's funny how the times have changed you guys. I used to really only look forward to the weekends where there was something exciting going on - a show, a party, a trip. Now I look forward to the super mellow weekends that involve family and close friends so much more. It took a long time for me to get to this point (I'm 30-something, and the 'something' isn't early 30s anymore; I'll leave it at that), and I have to say, I like it. I hope the rest of your Friday is wonderful. And your first day of March too! Speaking of it being the first day of a new month, please say hello to March's fantastic new (and returning!) sponsors! They've got some pretty great things to offer in their shops and blogs, so make sure to take a minute or two to click on their pretty graphics over there in the right sidebar and see for yourself. Ha, I like the sound of that book! I still have an encyclopedia of all Harry Potter characters in my brain. That's totally useful, right? We're having a low-key, DIY-around-the-house weekend. Hubsey traveled for work during the week, so I'm glad to have him back. Those margaritas are looking delicious! I've seen some hair chalk floating aroung pinterest today, maybe it's a sign that I should get some, now I see them on your blog. I wonder if it works in dark hair as well, and cross my fingers that it won't start raining once I got some. The little bunny is so adorable! I actually prefer quiet weekends...maybe sitting in a small café people watching! Have a wonderful weekend with your husband! I've always been the same way with my hair...Long and dark and straight. But I've been thinking about the hair chalks for my daughter (16 years old), so I'll let you know how that works out! 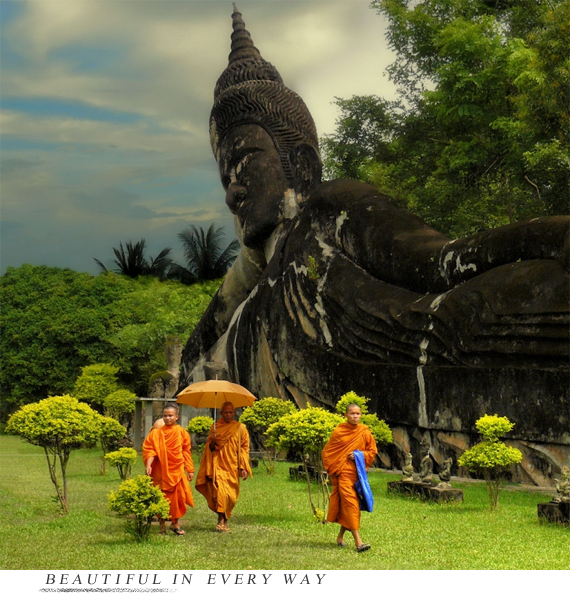 You should definitely visit Laos! I went to Thailand when I was 15, and we were supposed to go to Laos as well but didn't make it. Maybe some day I'll be able to go back. Thailand has beautiful temples too, and I visited the Emerald Buddha and the city of Ayutthaya and saw Wat Chaiwattanaram - BEAUTIFUL. I'd love to go back and re-visit with my family. →lauren @ in between idols. I saw the mixed stripe rug last week and fell it love! Your blog is so uplifting and inspiring!! I looooove that dress in the top picture!!!! 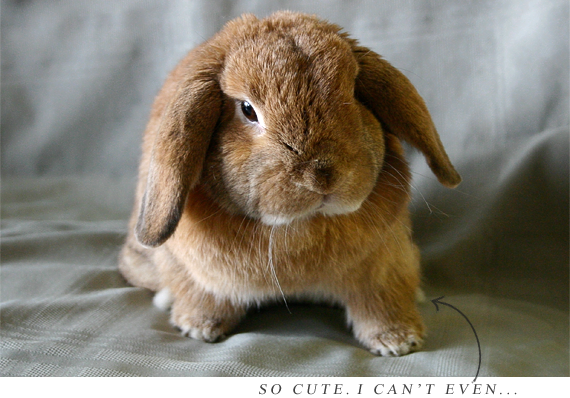 The bunny is so cute too, I have always wanted a bunny!! Have a great weekend with your man, I don't know how you do it with so much time apart, so enjoy every second!! 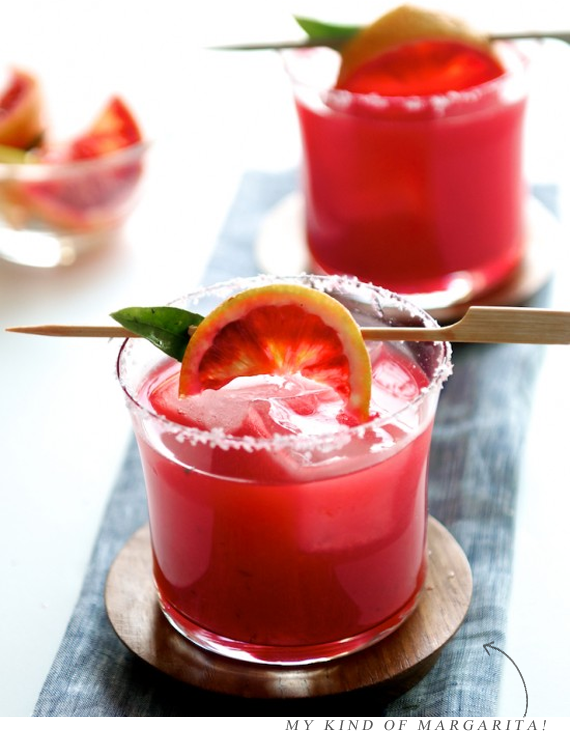 Mmmmm...a margarita party sounds pretty awesome! And I LOVE those little wooden skewers...they SO need engraved! That hair chalk rocks and I can't wait to hear if you get another bunny! The bunny is so cute. I used to have a bunny when I as a kid. I wouldn't mind getting one again since I can't have a cat. That would be so cool. I should bring that up to my boyfriend. 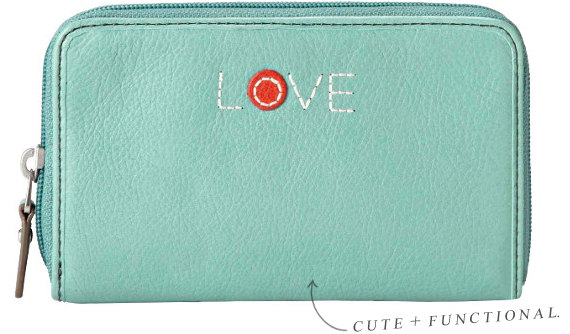 I really love the teal wallet. I have been wanting to learn how to sew one of those.